Are You Making One Of These 7 Profit-Killing Trading Mistakes? In this quick-read, Harvey provides essential money-making advice for any trader and would-be trader. And he discloses 7 common mistakes that can kill your profitablility and motivation. 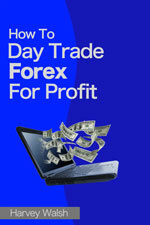 Harvey's highly acclaimed original trading course. 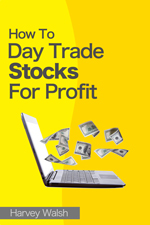 Everything you need to know to go from zero to profitable trading. Ever wanted to trade the world's largest market? 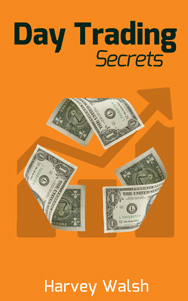 Peek behind the curtain and learn the secrets of professional currency traders. Your brain is your biggest barrier to success in the markets. 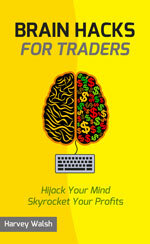 Discover ingenious techniques to overcome fear, greed, and the cognitive biases that are sapping your profit potential. NEW: Bitcoin is the new frontier of finance. But with new opportunities come new risks. 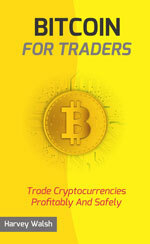 Discover how to trade cryptocurrencies while staying safe. Harvey Walsh quit his day job at the turn of the century, with the idea of day trading from home. His friends and family thought he was crazy, but not only did he realise his dream of being his own boss, through his books he has gone on to teach thousands of others how they can do the same. Harvey has earned a reputation for teaching trading in a fun and easy to understand manner. His laid-back style makes learning a breeze. He avoids technical jargon and uses plain English that makes even the most complex subjects seem simple. Harvey reads all his email personally.